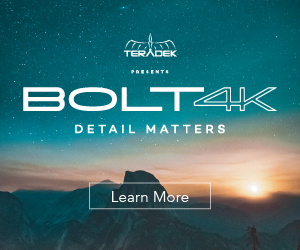 Log files are known to offer more flexibility in post-production as the use of a logarithmic compression allows camera makers to squeeze more information inside the same bitrate. These also provide major recovery in the highlights giving you overall a superior dynamic range. But all of this, of course, requires time. Yes, you may have your set of LUTs you use to grade quickly, but still, it’s time-consuming to pull off the perfect grade. Sometimes it’s easier to utilize a different picture profile, may it be because the project does not require a particular grade, or just for the time-saving. That being said, let’s see what are the options with filmmaker Cody Blue. Apparently, Cody has been a long time user of the Cine4 picture profile, and has been using it for so long since it’s so useful in real-world situations, and not only in post as it would be expected. Shooting in Cine4 is easier too, there is no need to overexpose the footage, as is usually advised, to have less noise in the shadows. Looking at the side by side comparison with a Slog 2 file we can see that actually, the final results are quite similar. If we go pixel peeping, however, the superior profile is with no doubt the Slog 2. 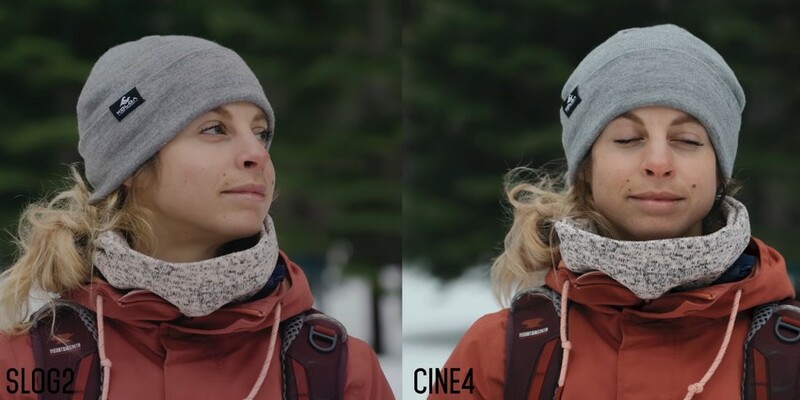 There is more detail in the highlights, the roll-off is a bit smoother, and dynamic range is overall superior, but we can say that only after comparing the images side-by-side. On the other hand, Slog 2 is way more challenging to work with, not only because of the higher ISOs your camera is stuck to. The lowest setting that you can use while shooting with Slog 2 is ISO 800, whereas with Cine4, you can go all the way down to ISO 200. Nailing exposure while using the log profile could be pretty tricky and overwhelming as well, especially when you don’t have enough experience with it. Tweaking colors and skin tones, in particular, is another serious consideration when filming with Slog 2, so as a rule, be prepared to spend more time in post while color grading your Slog 2 footage. Ultimately, the question becomes, is Slog 2 actually useful for your workflow? 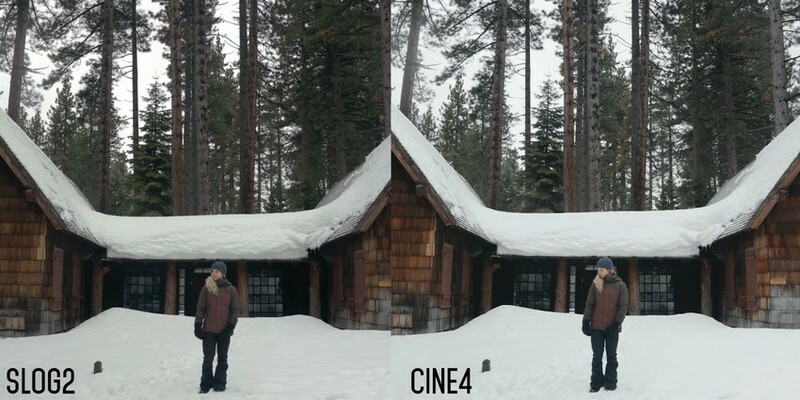 Considering the time spent in the color grading suite and the small quirks when shooting, you should do a cost-benefit analysis and decide if it is really the right choice for you or instead Cine4 could be the better option overall.